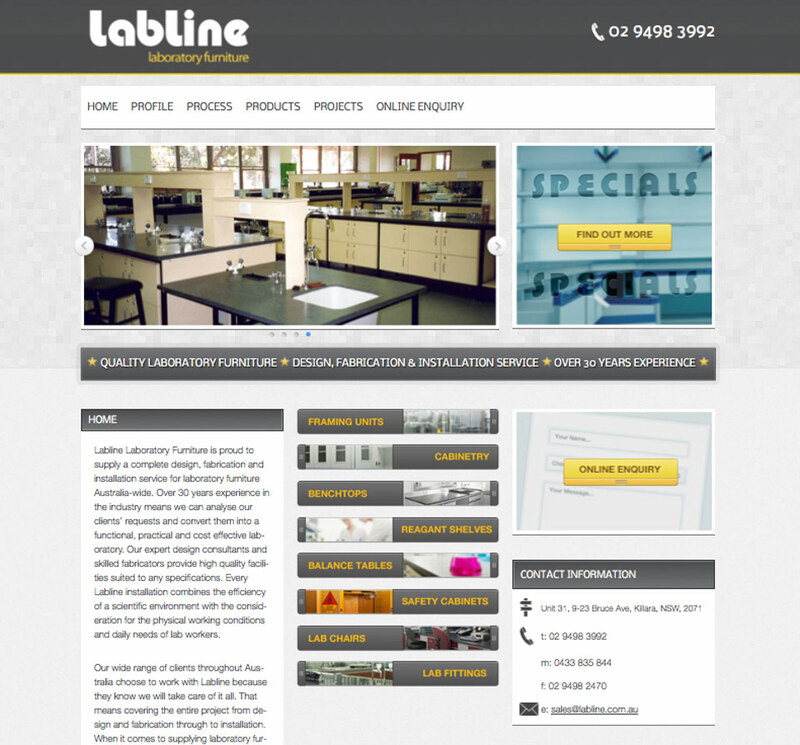 Labline is an Australian owned and run family business, having installed premium laboratory furniture for over 30 years. They approached Splash to assist with a broad branding strategy that included an updated logo identity as well as a new modern website. This simple elegant new wordpress website was built in a WordPress CMS giving the client easy tools to modify and update the content accordingly. The Content Management System lets them add or remove products as they wish. With a simple SEO strategy, we helped them achieve high organic search rankings, which assists them greatly in terms of lead generation and sales acquisition.